Playing online casino games is the best way to win serious cash without leaving the comforts of your own room. But not all online casinos will give you the best gambling experience. There are many online casinos that are competing for your time and money, and it is sometimes difficult to choose which among them is worth trying. You should look for an online casino that does not only offer fantastic graphics and big bonuses, but also guarantee fast payouts and outstanding service. There are probably hundreds of online casinos in the UK, but what are the best online casinos? Here is my list of favoured online casinos. It goes without saying that all the casinos on my list have a good reputation, are reliable and have a UK Gambling Commission License. I selected my list with best online casinos, with two things in mind: (1) where do I like to play myself (2) which online casinos have a good welcome offer for new players. 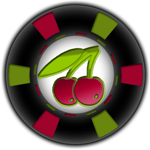 I like to play in online casinos who offer a lot of good casino games, video slots and fruit machines. Of course, I have my own personal favourite games, but I like to play a lot of different types of games. I also like to get bonuses and free spins on a regular basis, not only when I sign up for a casino, but also . Besides that I think it is important that an online casino has a top notch customer service department, so that if something goes wrong that it is solved in a fast and professional way. The second criteria I used is about the welcome bonuses, and welcome free spins that the online casinos offer. Maybe not really interesting for myself, since I tend to always come back to my favourite online casinos, but I do understand that a lot of people are looking for a good welcome offer, so I added that in the mix to come to my list of the best casinos in the UK. As you probably will notice, I don’t have any of the ‘big name online casinos’ in my list. Personally I feel that those big casinos are not working as hard as the smaller casinos to satisfy my needs. The smaller casinos in my top 5 list just seem to understand me as a player better than the bigger brands. Vera&John is part of the Canadian Stock listed casino group Intertain. You can play on the different casino games of NetEnt, Quickfire, Evolution, WMS, Play ‘N Go, Thunderkick, NextGen and Leander Games. The total amount of games is well over 500. If you register today for an account with Vera&John you will get up to 123 free spins and a deposit bonus of 100% to a maximum of £100. Unibet is a well know name as a bookmaker, but the company has one of the best online casinos as well. Royal Panda is a newer name on the UK casino scene. The casino started a couple of years ago and it is run by two Dutch lads. This online casino is growing fast, and they have at the moment 25 people working for them (including a UK customer support team) and they are also regulated by the UK gambling commission. Royal Panda works hard to compete with the big boys: they have a good amount of games and they of a loyalty program called “Loyal Panda” and they have often deposit bonuses for existing customers. Royal Panda offers NetEnt, Micrograming, and Evolution games, which is maybe less than some other online casinos, but it covers most of my favourites. LeoVegas started a couple of years as a online casino that focused mainly on the mobile casino player. Back in the days they were one of the first with a mobile casino, but now the competition caught on. Their mobile casino is still very good, and they also have a good online casino for desktop users. They offer slots and casino games from several software providers, including NetEnt, Microgaming, NextGen, iSoftbet and Evolution. Maria Casino started more than 10 years ago as an online bingo website, but it changed slowly more and more into a full online casino. It is still possible to play bingo at Maria Casino, but it also has the video slots of NetEnt, Quickfire, WMS, Play ‘N Go and Evolution — totalling in hundreds of casino games. The site is owned by the Unibet Group, a company stock listed in Stockholm.